I read this article and found it very interesting, thought it might be something for you. 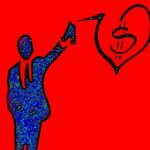 The article is called How Neoclassical Economics Corrupted Business Schools, Corporations, and the Economy and is located at http://evonomics.com/neoclassical-economics-business-school-gintis/. Since the mid-1970’s neoclassical economic theory has dominated business school thinking and teaching in dealing with business ethics. Neoclassical economic theory employs an incorrect model of human behavior that treats managers as selfish maximizers of personal wealth and power. This model, often referred to as Homo economicus, implies that a firm’s board of directors can best further stockholders’ interests by (a) selecting managerial personnel who are focussed virtually exclusively on personal financial gain, and (b) inducing them to act as agents of the stockholders by devising incentives that minimize the difference between the financial returns to stockholders and the firm’s leading managers. Moreover this theory, in the strong form of the efficient markets hypothesis, asserts that a firm’s stock price is the best overall measure of the firm’s long-term value. This suggests that managerial incentives should be tied to stock market performance, since this will best align the interests of managers and stockholders. However, this implication is invalid when managers can manipulate information flows that influence short term stock price movements. Neoclassical economic theory thus fosters a corporate culture that ignores the personal rewards and social responsibilities associated with managing a modern enterprise, and encourages an ethic of greedy materialism in which managers are expected to care only about personal financial reward, and in which such human character virtues as honesty and decency are completely ignored. A wide range of experiments based on behavioral game theory contradicts the Homo economicus model. These results are widely recognized in contemporary economic theory, but widely ignored in traditional business school curricula. In real-world environments, honesty, integrity, intrinsic job satisfaction, and peer recognition are powerful motivators, leading to better results for the financial bottom line than reliance on material incentives alone. In particular, many people place high value on such character virtues as honesty and integrity for their own sake, and are more than willing to sacrifice material gain to maintain these virtues. Moreover, those who behave virtuously are generally happier, more well-adjusted, and successful than those who do not. We suggest that business schools develop and teach a professional code of ethics similar to those promoted in law, education, science, and medicine, that the staffing of managerial positions be guided by considerations of moral character and ethical performance, and that a corporate culture based on character virtues, together with stockholder-managerial relationships predicated in part on reciprocity and mutual regard, could improve both the moral character of business and the profitability of corporate enterprise. We are, of course, hardly the first to level this charge against business education in America. Business schools have widely responded to criticism by adding a course on “business ethics” to the MBA curriculum. While welcome, such a move cannot compensate for the generally incorrect and misleading characterization of human motivation, based on the neoclassical Homo economicus perspective, promulgated in courses on managerial behavior and corporate culture. This model must be directly attacked and replaced by a more accurate model of human motivation. Ironically, stockholders themselves are among the victims of a corporate culture centered on greed, run by managers who no more care about real interests of current and future stockholders than they about any other stakeholder in the operation of the enterprise. For the better part of the Twentieth century, managers were treated in much the same manner as scientists, physicians, and other professionals. They were given a long leash and were expected to apply their craft in a professional and honorable manner. All this changed in the last quarter of the century. The attack on the professionalism of managers was broad based, but with respect to business schools two factors stand out. First, the economic decline of the 1970s and the accompanying lack of competitiveness of U.S. firms in the face of foreign competition created a context for a thorough critique of American management, including American business education, and gave rise to competing prescriptions about what could be done to improve America’s corporations. Second, takeover firms and activist institutional investors began to present themselves forcefully as parties injured by incompetent corporate management, and as defenders of the individual shareholder. These newly empowered actors from outside of the firm sought greater control over the corporation. Using the poor corporate performance of the 1970s as their backdrop, these takeover artists successfully recast the image of corporate managers and executives not as wise corporate statesmen trying to adjudicate the competing concerns of a variety of corporate constituents, but rather as a self-dealing, unaccountable elite whose primary interest was taking advantage of weak shareholders to promote a leisurely life-style and exaggerated material gain. The idea that American society could depend on managers to discipline themselves to achieve the desired outcome of corporations contributing to the well-being of society was increasingly replaced by the view that managerial effectiveness could only be attained through the overarching authority of the market. This was an ironic turn of events that could only be truly appreciated by Progressive reformers like Edwin Gay, Louis Brandeis, and Walter Lippmann, who saw enlightened managerial professionalism as society’s best defense against a soulless and socially indifferent investor class. The revisionism surrounding managerialism that took place during the 1980s had a profound impact on business education. It represented an institutional shift away from the basic managerialism framework that had defined and informed business school education and animated the managerial professionalization project from its start, eventually replacing it with a new conception that is never fully specified but whose broad outlines can be understood as a conception of management as an agent of shareholders, the corporation as a nexus of individual contracts, and the primary purpose of the corporation being to maximize shareholder value. The rhetoric and rationale undergirding this new conception of management with its emphasis on shareholder value was of a particular variant whose origins could be traced to the neoclassical model of Homo economicus, which played a particularly influential role in business education over the last two decades, especially in conceptualizing the role of management, the definition of the corporation, and the purpose of the corporation. During this period, many leading business schools imported neoclassical economic theory practically whole cloth. There is little doubt but that, on the whole, the results were extremely effective. Business school students learned modern decision theory, risk assessment, and portfolio management, exposing them to an array of analytical tools that are indispensable in modern corporate management. Among these tools was the neoclassical principal-agent model, which was developed to explain the economic relationship between an employer (the principal) and an employee (the agent), an owner (the principal) and a manager (the agent), a lender (the principal) and a borrower (the agent), and other interactions where one individual (the principal) engages another (the agent) to act on his behalf, but cannot write a fully specified contract as to exactly what services the agent is to deliver. The principal-agent model is built on the notion that individuals have a personal preference ordering that they attempt to maximize, subject to the informational, institutional, and financial constraints they face, and relying on their personal beliefs concerning the value of various outcomes and how their actions can produce outcomes. In this economics literature, this is known as the rational actor model. The rational actor model lies at the very heart of modern economic theory, and in its absence, the explanatory success of modern economics would not have been possible. The principal-agent model flows logically from the rational actor model only when supplemented by the Homo economicus assumption that people are purely selfish and materially motivated. It asserts that agents will maximize their personal material payoffs, subject to whatever constraints are placed upon them by the principal. The principal’s task, therefore, is to devise a system of incentives that will lead an amoral agent to behave in a manner favorable to the principal’s own goals. The principal-agent model was imported into business schools in the form of agency theory in 1976 by Michael Jensen and William Meckling in a form directly suited to the stockholder-manager relationship. Jensen and Meckling more recently argued, in 1994, that managers were not simply “money maximizers,” and agency theory applies even where agents included altruistic and social purposes among their personal objectives. However, neither these nor other agency theorists provided an alternative to Homo economicus that was sufficiently concrete and usable as to serve as an alternative to the ubiquitous Homo economicus paradigm of the selfish materialist. We suggest that agency theory be retained, but the underlying model of human agency be thoroughly overhauled. Following the implementation of the Ford and Carnegie Foundation reforms during the 1950’s and 1960’s, neoclassical economics asserted itself as the dominant discipline in business schools in the 1970’s. 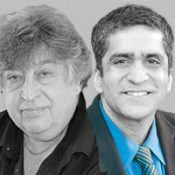 A quick check of any of the major undergraduate and graduate microeconomics textbooks will convince those skeptical of our claims concerning ubiquity of the Homo economicus model: never is any assumption made concerning individual objects other than maximizing some combination of leisure and monetary reward. It is in this sense that neoclassical theory is so powerful an attack on the legitimacy of managerial authority as it had been constructed during the founding era of business schools and then revised in the post-World War II period. Its proponents acknowledge the difficulties that emerge with the dispersal of stockholdings and the rise of management, addressing by deploying the Homo economicus model, which conceptualizes the separation of ownership and control as one in which managers have no concern for shareholders’ interest, except insofar as they are compelled to do so by their formal contractual conditions of employment. In a series of papers following Jensen and Meckling’s original article, Jensen, Eugene Fama, and others proposed a theoretical road map that asserted the purpose of the corporation to be that of maximizing shareholder value, and that since managers have interests that differ from those of stockholders, monitoring these managers under conditions of wide stock dispersal is a major practical challenge. They argued that because their efforts are not easily observable, managers will perforce fail to work towards stockholder goals. The challenge, they concluded, is to create an “alignment of incentives” in which managers’ personal financial interests will come into close correspondence with those of owners. While Jensen and Meckling often stressed the limitations of the Homo economicus model, their arguments were effectively drowned out in the mass adoption of traditional economic theory by the business school community. Neoclassical theory quickly created a unified approach to organizations and corporate governance in American business schools, catalyzing academic revolutions in corporate finance, organizational behavior, accounting, corporate governance, and the market for corporate control. Neoclassical theory spearheaded a new paradigm in to organizational theory. Unlike much of the earlier scholarship in business schools, many of the core ideas of neoclassical theory were not derived from inductive observation, but instead, through what seemed to be logically compelling or received wisdom. In the early 1970’s economists brought a high degree of theoretical rigor and analytically powerful modeling to business school education and research, the absence of which had concerned the Ford and Carnegie Foundations and haunted business education from the start. Drawing on the legitimacy of the economics discipline, the business school had the authority to redefine the character of managerial expertise. The intimate bonding of disciplinary knowledge and its implications for professional identity is a fundamental postulate in the social sciences. Of course, people actively use knowledge to advance their influence and privilege. But, as Michel Foucault has noted, the process is more profound, since the classification of knowledge, grounded in behavioral science, creates distinctions we come to see as natural, thus limiting our thinking by providing scripts and preconstituted habits of thought. The classifications we create to run our lives come to rule over us like alien beings. In particular, by trivializing culturally induced motivations and driving out of intellectual discourse such notions as honesty, trustworthiness, and fairness, as meaningful aspects of managerial motivation. In particular, business economists often dismiss the arid mathematical formulations of their counterparts in the economic departments of academia, in favor of a thicker description of personal motivation and organizational behavior. However, the abstract formalization defines the conceptual basis for the business school rendition of microeconomic theory, and leaves no room for more than minor embellishments around the edges. As a result, even those who do not “believe” the neoclassical model, but simply use the model as a structural backdrop to a more nuanced description of the business world are in fact prisoners of it. Perhaps because of the stunning success of the twin principles of rationality and self-interest in the analysis of market behavior, economists are wont to conflate the two concepts. The great economist Francis Ysidro Edgeworth (1881) proclaimed at the dawn of the neoclassical era that “The first principle of economics is that every agent is actuated only by self-interest.” Indeed, at least until recently, economists have considered maximizing material gain to be an essential aspect of rationality. In fact, however, the concepts are quite distinct. The economist’s rational actor model can be shown to apply over any domain in which the individual has consistent preferences, in the sense that if he prefers A to B and he prefers B to C, then he prefers A to C. Given this assumption and a few technical conditions, it is easy to show that we can model the individual as maximizing a preference function subject to constraints. Moreover, if the individual’s choice space is sufficiently rich, a few simple additional assumptions allows us to conclude that the individual has consistent beliefs concerning the probability of the states of affairs that determine his payoffs. The Nobel laureate economist Gary Becker pioneered the extension of the beliefs, preferences, and constraints model to such non-market areas as drug addiction, racial discrimination, crime and punishment, the family, education, and fertility. While Becker virtually identifies rationality with self-interest, it is clear that consistent preferences are compatible with the application of ethical values to individual choice. Strong reciprocity is the predisposition to cooperate in a group task, to respond to the cooperative behavior of others by maintaining or increasing one’s level of cooperation, and to respond to noncooperative behavior of others by punishing the offenders, even at personal cost, and even when one cannot not reasonably expect future personal gains to flow from such punishment. When other forms of punishment are not available, the strong reciprocator responds to defection with defection. The strong reciprocator is thus neither the selfless altruist of utopian theory, nor the selfish Homo economicus of neoclassical economics. The cooperative aspect of strong reciprocity is commonly known as gift exchange and the punitive side is altruistic punishment, the altruistic element coming from the fact that strong reciprocators promote cooperation even in groups with many selfish players, by making cooperation incentive compatible for such players (i.e., it costs less to cooperate than to defect and get punished). In 1982, George Akerlof suggested that many puzzling facts about labor markets could be better understood if it were recognized that in many situations, employers pay their employees higher wages than necessary, in the expectation that workers will respond by providing higher effort than necessary. Of course, the relationship between employer and employee is of the same principal-agent type as that between stockholder and manager. Hence, if Akerlof is correct, we would equally expect trust and reciprocity to play a role in the market for managers. Many studies since then by Ernst Fehr and his coworkers validate this gift exchange model of the market for managers. We conclude from this study that the subjects who assume the role of “manager” conform to internalized standards of reciprocity, even when they are certain there are no material repercussions from behaving in a self-regarding manner. Moreover, subjects who assume the role of owner expect this behavior and are rewarded for acting accordingly. Finally, owners reward good and punish bad behavior when they are allowed, and managers expect this behavior and adjust their own effort levels accordingly. In general, then subjects follow an internalized norm not only because it is prudent or useful to do so, or because they will suffer some material loss if they do not, but rather because they desire to do so for its own sake. “An economic transaction,” says Abba Lerner, “is a solved political problem. Economics has gained the title of queen of the social sciences by choosing solved political problems as its domain.” Lerner’s observation is correct, however, only insofar as economic transactions are indeed solved political problems. The assumption in the theory of competitive markets that gives this result is that all economic transactions involved contractual agreements that are enforced by third parties (e.g., the judiciary) at no cost to the exchanging parties. However, some of the most important economic transactions are characterized by the absence of third-party enforcement. Among these, of course, is the relationship between the stockholders and the managers of a large corporation. Previously, we suggested that most experimental subjects are strong reciprocators who offer a high level of effort, provided they trust their employers to reward their successes, without the need for a complete, exogenously enforced contract. In another experiment, in 2004, Martin Brown, Armin Falk, and Ernst Fehr showed clearly that when contracts are incomplete, owners prefer to establish long-term relationships with managers based on trust and gift exchange rather than contractually aligning the incentives of managers with their own. The result in this experiment is a market for managers dominated by long-term trust relationships. Character virtues are ethically desirable behavioral regularities that individuals value for their own sake, while having the property of facilitating cooperation and enhancing social efficiency. The character virtues include honesty, trustworthiness, promise-keeping, and fairness. Unlike such other-regarding preferences as strong reciprocity and empathy, these character virtues operate without concern for the individuals with whom one interacts. An individual is honest in his transactions because this is a desired state of being, not because he has any particular regard for those with whom he transacts. Of course, the sociopath Homo economicus is honest only when it serves his material interests to be so, whereas the rest of us are at times honest even when it is costly to be so, and even when no one but ourselves could possibly detect a breach. Common sense and everyday experience, as well as the experiments described below, indicate that honesty, fairness, and promise-keeping are not absolutes. If the cost of virtue is sufficiently high, and the probability of detection of a breach of virtue is sufficiently small, some if not most individuals will behave dishonestly. When one is aware that others are not virtuous in a particular region of their lives (e.g., marriage, tax paying, obeying traffic rules, accepting bribes), one is more likely to allow one’s own virtue to lapse. Finally, the more easily one can delude oneself into inaccurately classifying an non-virtuous act as virtuous, the more likely will one allow oneself to carry out such an act. One might be tempted to model honesty and other character virtues as selfconstituted constraints on one’s set of available actions in a game, but a more fruitful approach is to include the state of being virtuous in a certain way as an argument in one’s preference function, to be traded off against other valuable objects of desire and personal goals. In this respect, the character virtues are in the same category as ethical and religious preferences, and are often considered subcategories of the latter. The importance of character virtues, which appear to be confined to our species, is ignored in neoclassical economics, which prefers to ground social cooperation in enlightened self-interest. This predilection goes back to Bernard Mandeville’s “private vices, public virtues” and Adam Smith’s “invisible hand.” The Darwinian struggle for existence may explain why the concept of virtue does not add to our understanding of animal behavior in general, but by all available evidence, it is a central element in human behavior. The reasons for this are the subject of some speculation, but they come down to the plausible insight that human social life is so complex, and the rewards for prosocial behavior so distant and indistinct, that adherence to general rules of propriety, including the strict control over of such deadly sins of anger, avarice, gluttony, and lust is individually fitness-enhancing. Numerous experiments indicate that most subjects are willing to sacrifice material reward to maintain a virtuous character, even when outsiders cannot penetrate the soul to investigate its contents. Prosocial behavior in human society occurs not only because those directly helped and harmed by an individual’s actions are likely to reciprocate in kind but also because there are general social norms that foster prosocial behavior and many people are willing to bestow favors on someone who conforms to social norms, and to punish someone who does not, even if they are not personally helped or hurt by the individual’s actions. In everyday life, third parties who are not the beneficiaries of an individual’s prosocial act, will help the individual and his family in times of need, will preferentially trade favors with the individual, and otherwise will reward the individual in ways that are not costly but are nonetheless of great benefit to the cooperator. Similarly, individuals who have not been personally harmed by the selfish behavior of an another individual will refuse to aid the offender, even when it is not costly to do so, and will shun the offender and approve of the offender’s ostracism from beneficial group activities. By community culture we mean the sharing of cultural norms among community members and the willingness of community members to reward and punish community members based on their adherence to and violation of these norms, even if they are not personally the object of the resulting beneficence or harm. Professional standards are the cultural norms of occupational groups, and once established, lead members to reward and punish each other informally, without the need for costly litigation, legislation, and incarceration. By abjuring professional standards for managers in favor of a culture of greed, it is likely that business schools that have promoted the neoclassical model of stockholder-manager relations have so undercut the culture of professional honor among managerial personnel that the mechanism of informal third-party punishment and reward has sunk to dramatically low levels, thus contributing to a deficit in moral behavior on the part of contemporary managerial personnel. There is strong experimental evidence supporting this line of reasoning. While self-regarding actors will never engage in third party reward or punishment if such behavior is at all costly, experimental subjects routinely punish and reward others who have impacted upon the welfare of other group members, although not themselves. An experiment conducted by Ernst Fehr and Urs Fischbacher addresses this issue by conducting a series of third party punishment games using prisoner’s dilemma and dictator games. The prisoner’s dilemma is a two-player game in which both players gain if they cooperate, but each player has an incentive to defect no matter what the other player does. Thus, self-regarding players never cooperate in a prisoner’s dilemma, although experimental evidence indicates that a majority of experimental subjects actively prefer to cooperate, provided their partners do so as well. This study also confirms the general principle that punishing norm violators is very common but not universal, and individuals are prone to be more harsh in punishing those who hurt them personally, as opposed to violating a social norm that hurts others than themselves. Neoclassical economic theory forms the central discourse and behavioral model of contemporary management education. Drawing on research and insights from game theory and behavioral economics we have argued that many of the core assumptions underlying this model are flawed. While we cannot say that the widespread reliance on the Homo economicus model has caused the highly level of observed managerial malfeasance, it may well have, and it surely does not act as a healthy influence on managerial morality. Students have learned this flawed model and in their capacity as corporate managers, doubtless act daily in conformance with it. This, in turn, may have contributed to the weakening of socially functional values and norms like honesty, integrity, self-restraint, reciprocity and fairness, to the detriment of the health of the enterprise. Simultaneously, this perspective has legitimized, or at least not delegitimized, such behaviors as material greed and opimizing with guile. We noted that this model has become highly institutionalized in business education. Fortunately, we believe that the potential for moving away from this flawed model is significant and thus can end this chapter on a more optimistic note for the future of business education. Business schools did not begin with neoclassical theory. The founders of business schools never envisioned the notion that the sole purpose of the corporation was to serve only one master, the shareholder. Nor could they have ever imagined that the model that students would be trained into a world view that would conceive managers as self-interested agents with no consideration of any other values or imperatives but their own wallets. Those of us who study society, coach soccer, help our neighbors, raise children, and look within ourselves, all know such a view of human behavior is not true, and more important, if such a vision were fully realized, would not offer the foundation for creating a sustainable society. Business schools need to recover what the sociologist Ferdinand Tonnies called Gemeinschaft or community. To this end, business school faculties and deans have an institutional responsibility to socialize students to a model of behavior that inspires them to respect other institutions in society, especially basic units like the family and community, and to inspire students to accept the responsibilities and obligations that come with occupying society’s most powerful positions. Akerlof, George A., “Labor Contracts as Partial Gift Exchange,”Quarterly Journal of Economics 97,4 (November 1982):543–569. Ben-Ner, Avner and Louis Putterman, “Trust Versus Contracting: Who Takes the Plunge, and When?,” 2005. University of Minnesota. Berg, Joyce E., John W. Dickhaut, and Kevin McCabe, “Trust, Reciprocity, and Social History,”Games and Economic Behavior 10 (1995):122–142. Brown, Martin, Armin Falk, and Ernst Fehr, “Relational Contracts and the Nature of Market Interactions,” Econometrica 72,3 (May 2004):747–780. Fama, Eugene F. and Michael Jensen, “Separation of Ownership and Control,” Journal of Law and Economics 26 (1983):301–326. Fehr, Ernst, Simon G¨achter, and Georg Kirchsteiger, “Reciprocity as a Contract Enforcement Device: Experimental Evidence,” Econometrica 65,4 (July1997):833–860. Gintis, Herbert, Individuality and Entanglement: TheMoral and Material Bases of Human Social Life (Princeton: Princeton University Press, 2016). Jensen, Michael, Foundations of Organizational Strategy (Cambridge: Harvard University Press, 1998). Jensen,Michael C., “Putting Integrity into Finance Theory and Practice: A Positive Approach,” mar 2006. Harvard Business School. – and William H. Meckling, “Theory of the Firm: Managerial Behavior, Agency Costs and Ownership Structure,” Journal of Financial Economics 3 (1976):305–360. Trust in American Business (Cambridge: The MIT Press, 2005). Lerner, Abba, “The Economics and Politics of Consumer Sovereignty,” American Economic Review 62,2 (May 1972): 258–266.